Busri is a brickmaker in Singguling village, and together with his wife, Surmaini, Busri has been in the business for about 10 years. Singguling village is located in the Lubuk Alung sub-district of West Sumatera, Indonesia. This area is well known for its brick production. However, the quality of the bricks is a serious challenge, as around 70% of them were estimated to be below the national standards for brick strength. 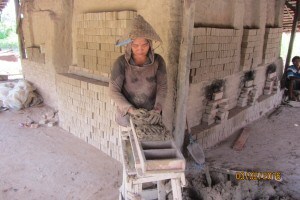 Busri’s business usually produces about 12,500 bricks every month. Most of the residents in Singguling are traditional brickmakers, making competition strong. 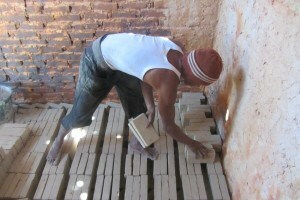 Many brickmaking businesses struggle to maintain and increase their income in the long term. 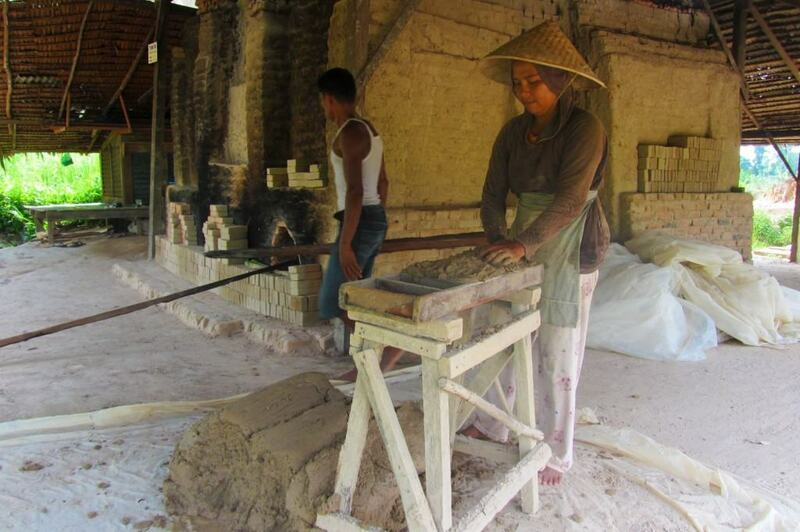 Build Change provided technical assistance for brickmakers in the Lubuk Alung sub-district to improve the quality of the bricks produced. Build Change visited each of the businesses, including Busri’s one, to see production techniques and recommend ways to increase the quality to meet national standards. After working with Build Change, Busri saw an increase in the strength and quality of his bricks. The techniques he learned could also be easily maintained, since they were not expensive or difficult but made a big difference in the quality. After working with Build Change for 2 months, Busri has started to produce good quality bricks in a regular basis, and his brick quality is above the average among the 90 brick producers in Lubuk Alung who were trained through Build Change. Many of the brickmakers in this area depend on private loans to help fund their production. High interest rates mean that brickmakers cannot repay their debts and can only earn a small income. Through basic business training from Build Change, Surmaini also started to do bookeeping for the business in a daily basis. Many banks refuse to do business in the Lubuk Alung sub-district, but with the assistance from Build Change, Busri has now applied for microcredit from a local bank to support his production costs.